Going green is a practical way to help both your community and the environment. Doing things like reducing your waste and eating local produce will minimize the carbon footprint you leave behind, but if you’re looking to make bigger changes in your life you can improve energy efficiency in your home with green appliances, renewable energy options and insulating materials. Many credit unions are looking out for their communities and aiding the environment by offering green energy loans to help members upgrade their homes. We’ve found a few awesome credit unions that work with local businesses or community organizations to educate residents and make sure members are saving money while they’re creating a greener planet. Velocity Credit Union works with Austin Energy, a community-owned electric utility, to provide low rate loans for the Home Performance with Energy Star program and the Solar Electric Power System/Solar Water Heater program. Qualifying members of the Home Performance program can choose between several loan and rebate options and fund projects ranging from new appliance purchases to insulation, caulking and weather stripping. Solar electric system loans are offered up to $20,000, with payment terms of up to 10 years. In addition to providing their own Energy Smart Loan products, Puget Sound Cooperative Credit Union is the official green lending partner to Snohomish County, SustainableWorks, CPW (Community Power Works) and RePower Kitsap. These community loan programs provide payment terms of up to 180 months and funding up to $50,000 to help homeowners improve their energy usage. SustainableWorks is a non-profit organization working to create sustainable green jobs, build local economies and reduce carbon footprints throughout Washington State. Community Power Works is a Seattle energy upgrade program that has provided valuable energy efficiency services for thousands of families and many local businesses, hospitals and city buildings. RePower Kitsap is a Kitsap County program that has improved energy usage in over 1,500 homes. By working with groups all over Washington, Puget Sound Cooperative Credit Union is turning the entire state into a big green community. Elevations Credit Union is serious about their green programs. Not only do they provide a range of loan products for both businesses and homes, but they have also dedicated themselves to reducing their own carbon footprint by improving lighting systems, recycling, waste management, and energy and water usage at each branch. They work with EnergySmart in Boulder County and Denver Energy Challenge in the City and County of Denver, two federally funded community initiatives that help homeowners and businesses make green upgrades. Elevations offers loans for green products like insulation, roofing, renewable energy, water heating and lighting systems. They also hold energy efficiency panel discussions to help community members better understand the value of going green. Matadors Community Credit Union partners with the Energy Upgrade California program to help members upgrade their home’s energy services. They offer low rates, payment terms between five and fifteen years and loan amounts from $2,500 to $50,000. Energy Upgrade California is a collective of cities, counties, agencies and organizations in California set on reaching projected energy and climate goals for the state. They seek to improve consumer and market knowledge of the importance and cost-reduction benefits of energy efficiency. They also help customers find rebates to get money back on their green investment. Summit Credit Union has energy loan programs centered in the cities of Madison and Milwaukee, Wisconsin. Summit partners with Green Madison, a city program with the aim of making Madison more sustainable and successful, to give homeowners and businesses funding for energy efficiency products and services. The Green Madison program also helps borrowers with expert advice and rebate offers. Milwaukee residents and businesses can take advantage of the Milwaukee Energy Efficiency (Me2) Loans and Milwaukee Shines solar loans program to improve their energy efficiency. Me2 is making Milwaukee more sustainable through community education and by providing on-hand energy experts to help you through the green upgrade process. They’ll also help you save money by finding rebates for your energy upgrade project. Milwaukee Shines is the city’s solar program which helps residents learn more about solar energy and works with Summit Credit Union to fund solar energy upgrades. Together, Summit Credit Union, Green Madison, Me2 and Milwaukee Shines are creating a healthier Wisconsin. 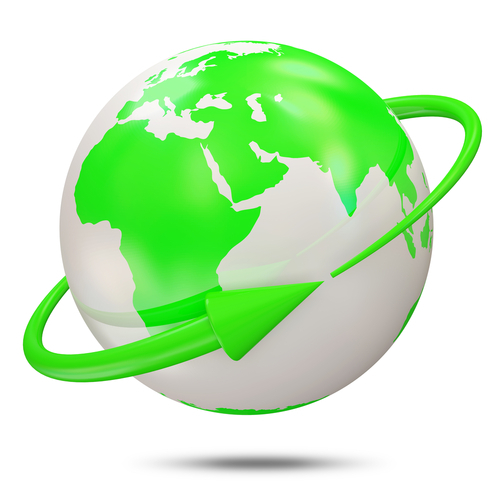 Green Globe with Green Arrow image courtesy of Shutterstock.